Okide Soul became a therapist in 2002. His journey as a therapist started when he studied Reiki. Since obtaining his Mastership in Reiki, Okide has devoted himself full-time to helping others. Reiki is used effectively by him as a tool to balance chakras, heal the body on emotional and physical level. His treatments are very effective for pain management too. For eleven years Okide trained in Martial Arts where he learned the Vietnamese style of massage and acupressure. This form was needed in order to ease pain and restore natural balance of the body after intensive physical trainings. Now he uses this style on clients who are having problems due to intensive sport or training exercises. Okide further advanced his skills by learning Lomi Lomi Massage, and after this combined the best of his many techniques, his deep intuition and healing abilities to create his own style of massage called QTM – Quantum Therapeutic Massage. He has become devoted to these two styles of massage as he believes that only the best should be given to clients. As a spiritual healer he is using his deep intuition and other skills to help shift unwanted emotions and energy which can be a reason as to why we might feel being stuck in our lives. 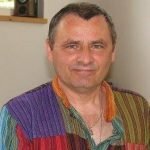 Through spiritual healing with Jarek many people find themselves in a better space in life and greater achievements in everything they are doing. Spiritual Healing, Reiki (Master Teacher), Massage, Acupressure, QTM (Quantum Therapeutic Massage). Registered as a full member of Spiritual Workers Association. To contact Okide Soul, call 01483 418103 or email us.